The ‘Editing Robert Burns for the 21st Century’ PhD researchers, Jonathan Henderson and Arun Sood, retraced Robert Burns’s Highland Tour in August 2013. Here they share some images and thoughts. You can read their day-by-day account of the journey in our ‘Blog’ section. In August 1787, Robert Burns and William Nicol set off from Edinburgh to embark on a six hundred mile tour of the Highlands. Their route followed an established that path that Boswell, Johnson and Thomas Pennant had travelled before them, only Burns and Nicol made the journey in reverse. From Edinburgh, they made their way North through the central Highlands and travelled as far North as Inverness. From there they journeyed East along the Moray coastline to Aberdeen, before heading south down the East coast back towards Edinburgh. Burns and Nicol stopped at sites of historical significance, as well as places where the poet could attempt to gain patronage for his writing. 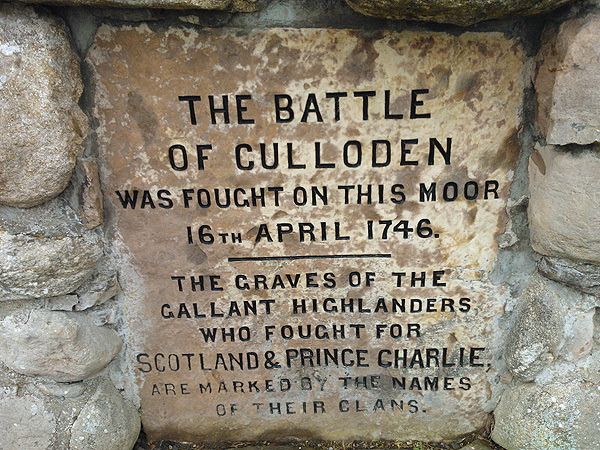 Jacobite history forms a significant port of the tour, with major stops at Killiecrankie and at Culloden, locations that captured the imagination of the bard. People that the tourists met along their way include John Campbell, the Earl of Breadalbane, John Murray, the Duke of Athole and James Duff, the Second Earl of Fife. We retraced this Highland tour in anticipation of the first volume of the new multi-volume Oxford University Press edition of The Works of Robert Burns edited by Nigel Leask: ‘Robert Burns: Commonplace Books, Tour Journals, and Miscellaneous Prose’ (Forthcoming 2014). In doing so we got a feel for the sights and sounds that Burns and Nicol would have experienced on their trip, we stayed in some great places and we met some interesting people. Below are some selected photographs from our own travels, and a short video journal. More detailed accounts of each day of our trip are available on the website ‘Blog’ pages, but for now, enjoy some of the highlights of our Highland Tour in this online exhibition. 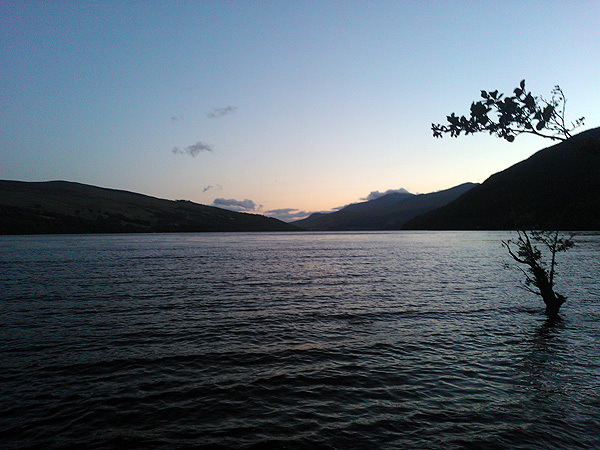 View of Loch Tay from The Kenmore Hotel. Burns stayed at The Kenmore Hotel after visiting Taymouth Castle. While staying at the Inn, Burns wrote the lines ‘Admiring Nature in her wildest grace’ in pencil over the chimney piece. The poem is still visible today and The Kenmore Hotel remains a point of pilgrimage for many Burnsians. Given Burns’s engagement with Jacobite history on his tour, it’s unsurprising that Killecrankie – the site of victory for ‘Bonnie Dundee’ – featured on his itinerary. 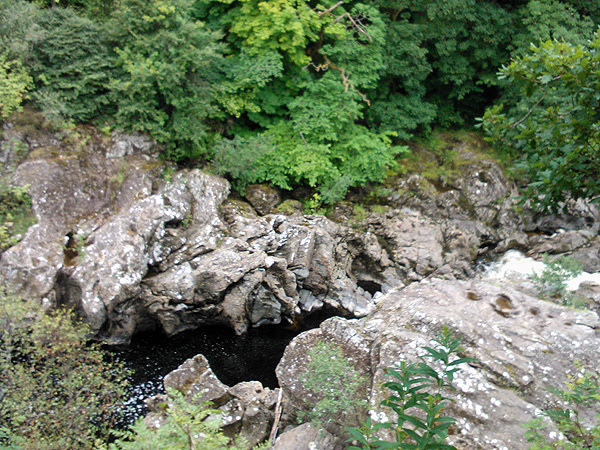 The image above shows ‘The Soldier’s Leap’ where a Government soldier, being chased by some Highland swordsmen, supposedly cleared an eighteen-foot gap in the rocks on either side of the River Garry to escape. 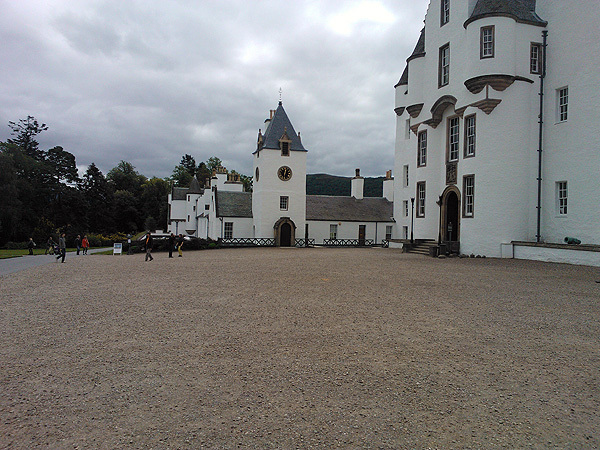 At the time of Burns’s visit , Blair Castle was the seat of John Murray, 4th Duke of Atholl (1775-1830). Carrying a letter of introduction to the Duke from Hugh Blair, Burns spent Saturday 31st August – 1st September as a guest of the Duke and Duchess (although his fellow traveller William Nicol did not attend). On the 5th of September 1787, Burns visited the Fall of Foyers where he composed ‘Written with a Pencil, standing by the Fall of Fyers, near Loch Ness’. 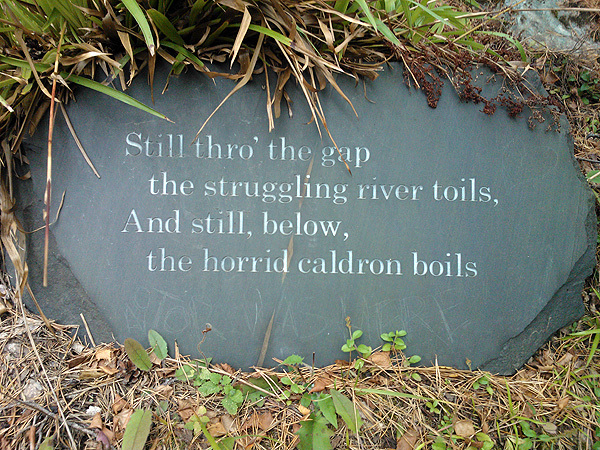 Today, the lines from the poem appear on slate signs as you descend from the road to the dramatic waterfall. Now a state of the art multimedia visitor centre, the site of Culloden has changed a lot since Burns visited on the 6th of September 1787. While Burns did not reflect on the site in any great depth, the Highland Tour did help to inspire his interest in Jacobite history, in particular with regards to song collecting and preservation. The guitar instrumental on Jonathan and Arun’s Video Journal, ‘Niel Gow’s Lament for the Death of his Second Wife’, is performed by Bill Adair. Bill recorded this for the ‘Editing Robert Burns for the 21st Century’ project, as an introduction to his performance of Burns’s ‘A Red Red Rose’. You can download this from our Song and Music pages.